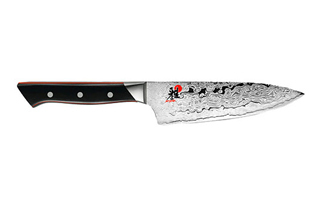 Miyabi knives by Zwilling are hand-crafted in Seki, Japan and come with a lifetime warranty. 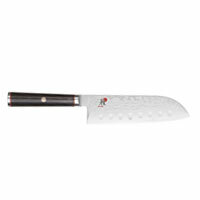 These top-quality Japanese cutlery is forged from high-quality steel and made with long-lasting Micarta handles. 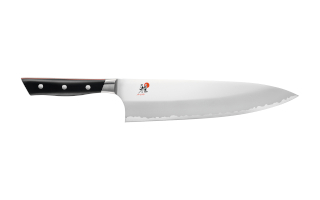 Miyabi Kaizen cutlery features a classic Japanese appearance and razor sharp blade. 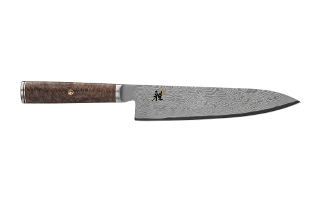 They feature layered blades with a Damascus apperance and Micarta wood handles. 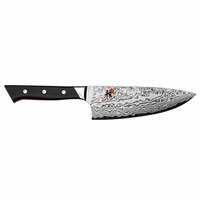 Miyabi 600 D knives feature the layered Damascus apperance and super-sharp blade of a Japanese style knife, but with a German-style handle and forged bolster.